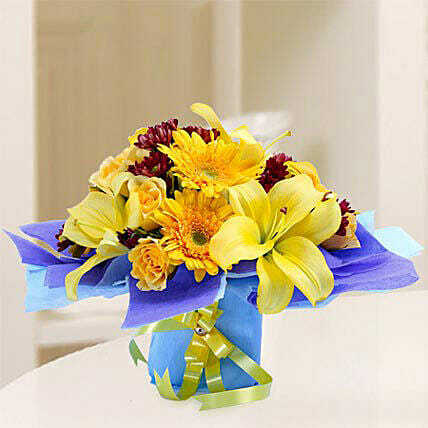 An enticing floral gift of yellow Asiatic lilies and roses, yellow gerberas, red daisies is posing a contemporary yet classic gift together. Brighten up the day of your loved ones with this uniquely beautiful floral piece. In all moments of our life, flowers are the constant gifts that make everything simple yet gracious.